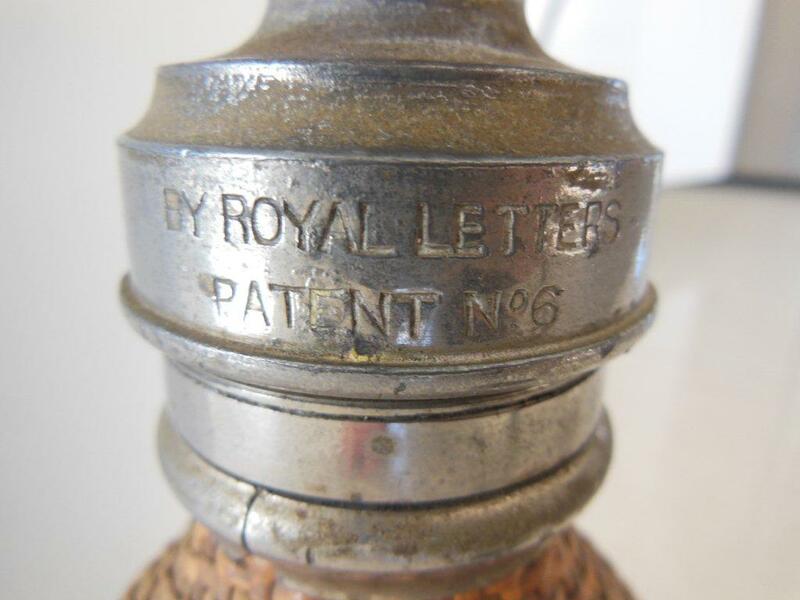 Notes: This is the first style of aerating bottle and was sold as a “special bottle” to “aerate water and other liquids”. Made by Aerators Ltd, it was aerated by ‘carbonic acid gas’ from the Sparklet capsule. Instructions state that cold tea, still wine, and milk could all be aerated in the bottle. 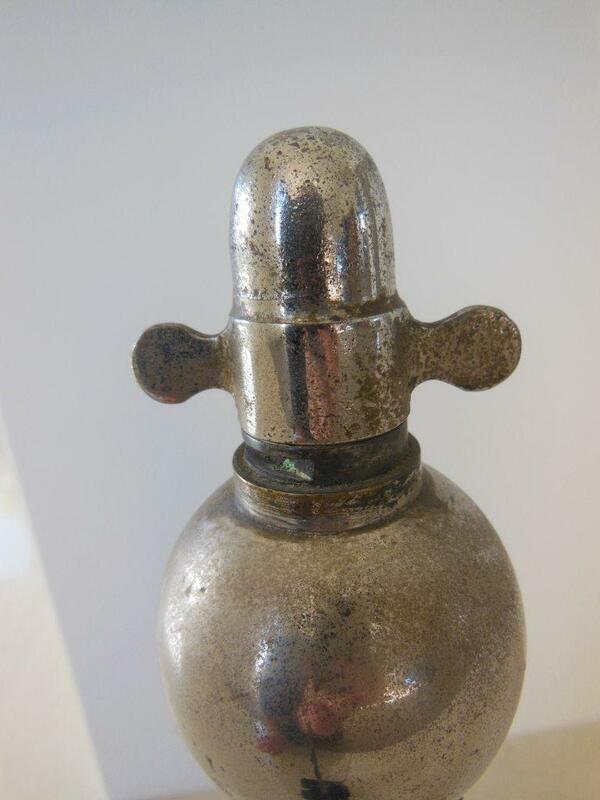 There were different variations of the bottle shape produced. 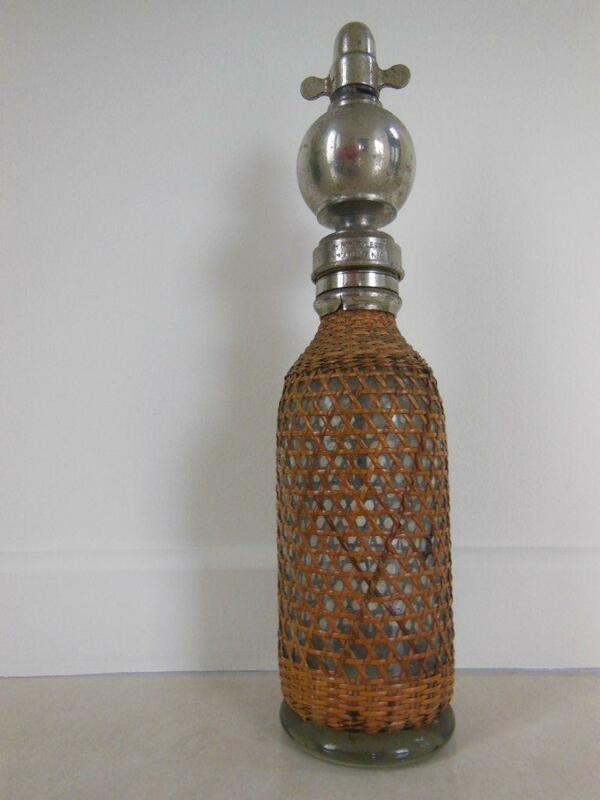 This bottle is 40mm taller than the similar wicker covered bottle, SCG/P01-WK. Hard to find today. The price quoted is for a good example with a good original box. Many thanks to Sue B from New Zealand for the pictures.